We all know that test strips have an amazing ability to work their way into every nook and cranny. You would think I could no longer be surprised at where I find them. At first glance, this may not seem surprising. But that is a One Touch Ultra test strip. I switched to the One Touch Verio meter more than six months ago. So I haven't used any Ultra strips in quite some time. Those sneaky test strips never cease to amaze me. Have a great weekend, everyone! Ha ha ha! This keeps happening here too---those oldies must just sort of work their way out from between the floorboards or maybe dislodge themselves from the vacuum hose? 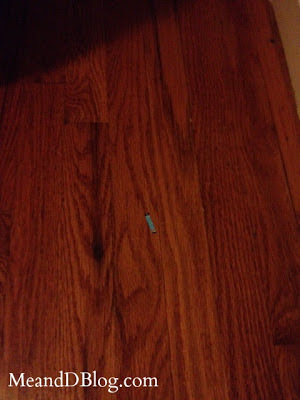 In the past two weeks I've found test strips on my garage floor and in the cup holder of my friend's car (a car that I had not ridden in for months!). They go everywhere and pop up when least expected! Sneaky test strips, indeed! I think this happens to a lot of diabetics. I think this happened to me a lot of times already. I hate when i can't seem to find one and after a few days of simply forgetting about it, there it goes. It just shows up.